New Delhi : The 'Uh-la-la...' girl of bollywood gorgeous actress Vidya Balan, who has won the National Film Award and also awarded the Padma Shri by the Government of India, has been donated her cash prize of Rs 5 lakh towards the cause. The actress is the brand ambassador for National Sanitation in India has lent her support and voice to several ad campaigns across television and radio, for sanitation in UP, Bihar and other states. The 38-year-old actress was awarded the Woman Icon of the Year award for her contribution to cinema along with a cash prize of the said amount. Reportedly, she decided to donate it to Swades Foundation, the organisation that works towards building toilets in India's rural part. Upon receiving the cheque of Rs. 5 lakh from the actress, the team of Swades Foundation was very delighted as it will help in fulfilling their noble work purpose. 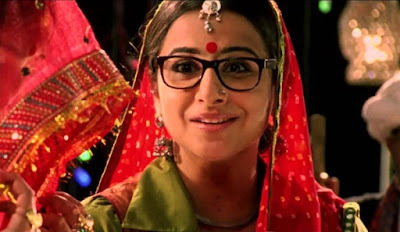 According to a report, Vidya Balan donated her prize money to Swades Foundation that is actively involved in building toilets in rural parts of India. A source close to Vidya said that she has been actively involved with the Swachh Bharat Abhiyan initiative and wanted to contribute towards building toilets in the country. The source went on to say that members of the foundation were pleasantly surprised to receive the amount from the actress.